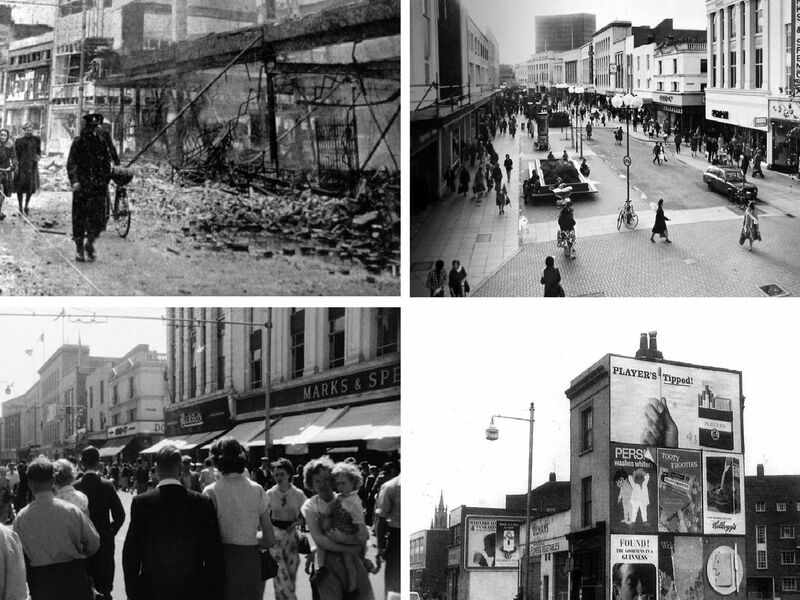 Commercial Road has a long and glorious history as Portsmouth city centre’s main shopping street. We’ve had a look back through the archives to find some of our favourite photos from the last few decades. Portsmouth Corporation electric tram No 19 negotiating floods in Commercial Road in August 1911. A close up of the girls pushing their cycles through a bombed out Commercial Road. August 1911 and torrential rain flooded Commercial Road in what is now Guildhall Square.